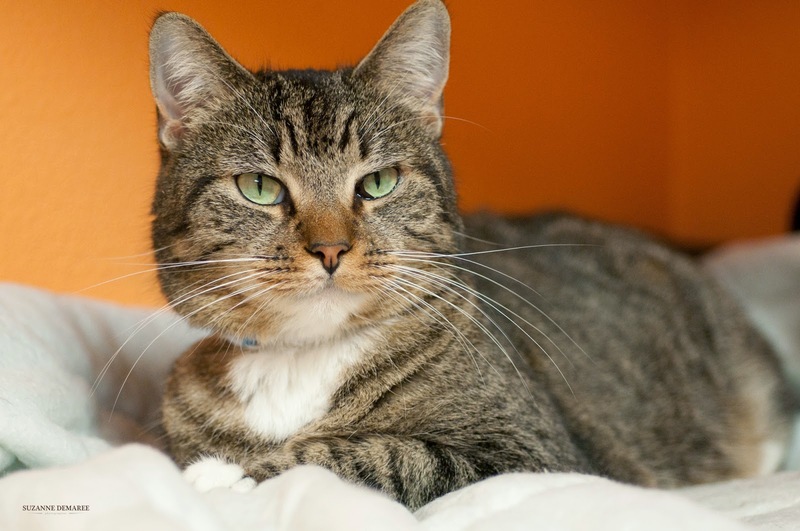 Pet Adoption | Humane Society: Miley Awaits Her Prince or Princess Charming! Miss Miley I am, named after song princess Miley Cyrus. Why would a cat be named after a pop singer, you ask? Three years ago when I was a kitten and came to the shelter, there was a staff member who really liked Miley Cyrus. A handsome black & white male kitten came in at the same time. I was named Miley and he was named Cyrus. Neither one of us has found the right home yet so we both live together in Cattery 3. Cyrus and I decided we needed to do something about that and get promoted in the WWN newsletter. Cyrus is such a gentleman; he said "Ladies first" so I got the first spot. I put on my best Princess pose on my "princess pillow" for a glamor photo, and here I am. If you're looking for a sweet, young friendly tabby, I'm your girl. I'm around 3 years old, just coming out of kitten hood, spayed, vaccinated, ready to go home. PS - You will have to look in another week or two to see Cyrus.